Hackers refer to people who are mainstream security crackers. Some claim that the term has been irrecoverably corrupted, and acquired a new meaning that we should simply accept. In fact, the World Wide Web and the Internet itself are artifacts. 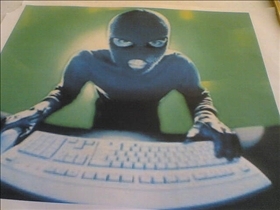 But today Hackers refer to computer criminals due to the mass media usage of the word since the 1980s. Historically, the word “cracker” was used to define people who broke security in computer systems. Though the words crackers and hackers are now used synonymously, subtle differences still remain. A hacker, in the classic sense of the term, is someone with a strong interest in how things work, who likes to tinker and create and modify things for the enjoyment of doing so. For some, it is a compulsion, while for others it is a means to an end that may lead them to greater understanding of something else entirely. A cracker, meanwhile, is someone whose primary objective is to get around or break security locks and codes. Some security crackers end up using their powers for good, providing penetration testing services or otherwise making efforts on the side of the angels. After their inception Crackers soon had to be countered with a defensive force, and this continues today, Crackers try to attack systems and security personnel try to stop them by creating better security protocols etc. Traditionally, computer Hackers were the ones who were just curious about the whole system. They are not by definition criminals — just gifted programmers who are skilled at finding flaws. 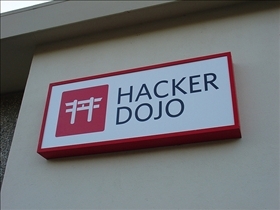 Hackers are usually willing to share their knowledge and take hacking as some sort of a personal challenge. Once the hacker has broken in, it is against the hacker’s ethics to alter any data other than the logs to clear his tracks. The hacker has no desire to alter or destroy the data on a machine. Crackers, used in the criminal sense, are potentially dangerous and might employ malicious codes to circumvent security to steal data. This is in opposition to the hacker’s ethics which do not permit him to hack to embezzle money or commit crimes. Hackers are usually very well trained, whether formally or self-taught, in several different types of computing platforms. They are on an average quite proficient with a number of operating systems. Hackers are usually up-to-date on security issues on various platforms. They usually have a firm grounding in the root level security technologies such as encryption methods, system response patterns and remote query methods. Crackers, by definition, are people who either enjoy or profit or both from ‘cracking’ security measures in order to pirate software, steal data, etc. Their stereotypical image is that of a young guy sitting somewhere remote. However, this is not always the case. Mass media has ensured that the two terms are used interchangeably but ‘hacking’ is still as a positive thing amongst the technically inclined. It exists not only at software but also at a hardware level. Hackers are more general in their purpose, which is driven by curiosity. Crackers are more goal oriented and focus on security breach. Which programmers are more common?